Apple continues to make the iPhone and iPad better, more productive tools for work, mainly by implementing features that bring iDevices a step or two closer to their desktop counterparts. That ongoing effort continues with iOS 11, which arrived as a public beta on Monday. In the 10 years since the first iPhone arrived, the evolution of what is now called iOS shows that Apple's goal was to keep its mobile operating system separate and distinct from Mac OS X (now called macOS). But with iOS 11, unveiled earlier this month at WWDC and due out in final form this fall, a few features found on the Mac have made their way to the iPhone and iPad. There are dozens of changes in iOS 11, and this year the iPad stands to benefit more than the iPhone. Given that Apple's tablet sales have been declining for several years -- though still selling at better than ten million units per quarter -- it's good that Apple focused on the iPad. The hardware is fresh -- the 12.9-in. iPad Pro has just been updated and there's a new 10.5-in. model -- and with iOS 11, the software adds even more desktop flair. The new Dock in iOS 11 can hold up to 15 apps. First, Apple added a more-Mac like Dock, capable of holding many more apps than before (up to 15 on the 12.9-in. iPad); a new app-switching interface clearly reminiscent of the Mac's Mission Control, with integrated access to common system functions; new multitasking features that add to the split-screen view and Slide Over (for working with more than one app at a time); and an impressive system-wide drag-and-drop feature that showcases the iPad's impressive multi-touch support. 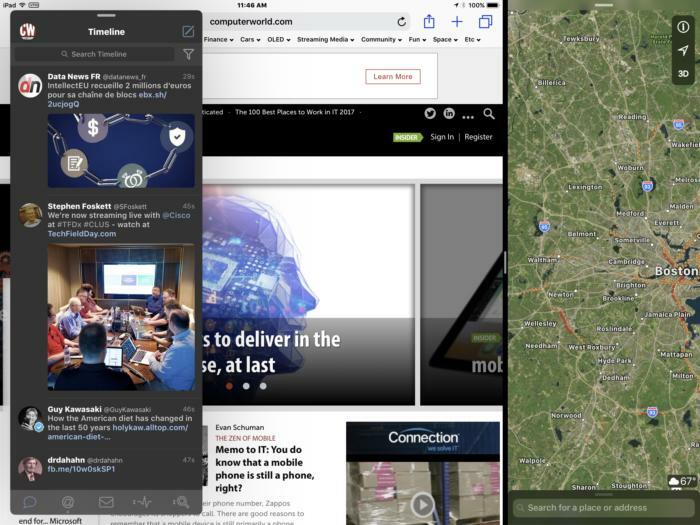 All these features combine to make using the iPad easier, and should bolster productivity. Better yet, Apple has made dramatic changes to the way the iPhone and iPad handle file management. After many years of organizing data and documents on a per-app basis, iOS 11 introduces Files. 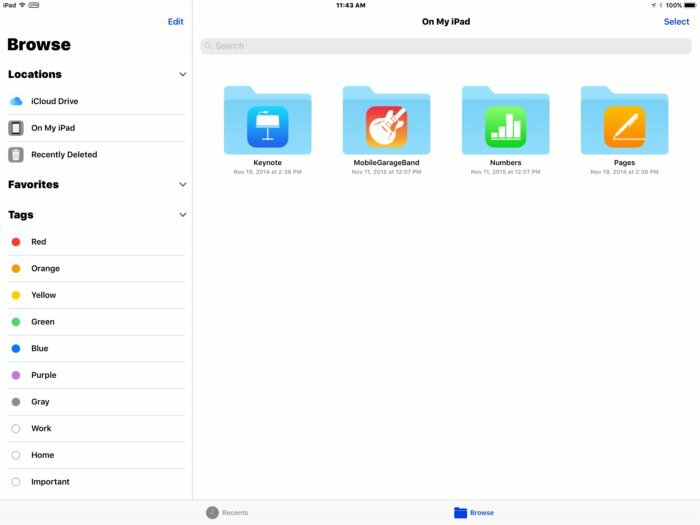 This new app allows users to search and organize documents on iOS devices in a single place. To use Mac parlance, Files is pretty much a mini, mobile version of the desktop Finder. The new Files app in iOS 11 makes finding documents easier since it collects them from multiple sources in one place. Just like the Finder, Files can stash documents in folders (or in folders within folders), and these documents can be displayed by icon or list view, sorted by metadata like size, tags or date modified. Files can be organized using drag and drop, and, even better, supports third-party cloud services like iCloud Drive and DropBox. For businesses with deep Microsoft integration, Files' third-party support is also set to include Microsoft's OneDrive and Sharepoint services. For users who dislike the way Apple allowed access to files only on an individual app basis, iOS 11 will be a welcome upgrade. Although the changes to drag-and-drop are also available on the iPhone, they absolutely transform how users interact with the iPad. Trying to organize your iPad's home screen? Grab a bunch of apps and move them all at once, saving much time and tedium. Writing an email and need access to Photos? You can bring both apps up, drag over as many pictures as you want, and they'll be added as email attachments. And if you're working on a Word file and need to cite sources, it's easy to grab the URL from Safari and drag the link to your document. Split-screen view with Slide Over now allows three apps to be open in iOS 11 at once. Combined with the enhanced Split screen and Slide Over views -- as well as the Dock's ability to display recent documents with a tap and hold -- system-wide drag-and-drop is both extremely welcome and extremely useful. 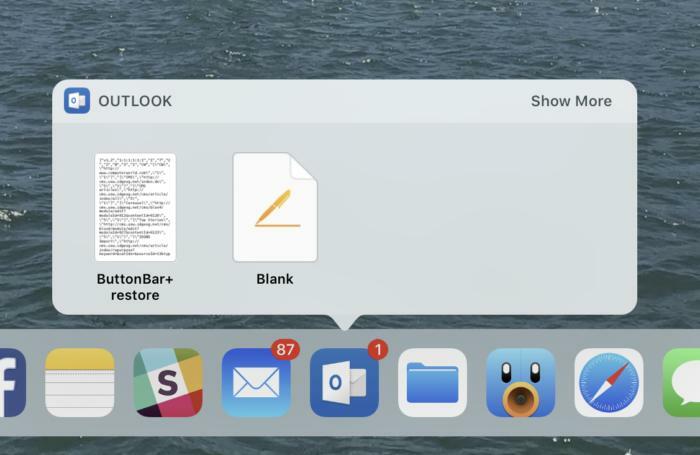 By pressing and holding briefly on an app's icon in the Dock, you can easily find recent documents. iOS 11 isn't just about bringing Mac-inspired features to the iPad; there are also features in iOS 11 that would make a Mac blush with envy. Apple Pencil users, in particular, will love the update. First, there's added support for the Pencil in many apps, including being able to tap within apps like Notes at any point to begin sketching or taking handwritten notes. And in apps like Photos and Mail, you can use the Pencil to mark up photos and attachments, respectively. These additions are especially noteworthy given the hardware changes in the newest iPads. They now have a screen refresh rate of 120Hz, twice as fast as previous models. Apple calls the technology ProMotion, but you won't care what it's called; all you'll care about is that text remains legible during scrolls, animations are smoother, and if you're using an Apple Pencil, drawing on the display is virtually lag-free. Need another productivity enhancement? With a new feature called Document scanner, it's possible to take a picture of a document -- like an order form or contract -- fill out the document using Markup and the Pencil, and then send that document to its destination, all from the iPad. Documents scanned this way are automatically corrected for skewed perspectives. And if you need to locate the doc later? iOS 11 uses machine learning to index your handwritten notes so you can search for and retrieve them later. This machine learning also translates your scribbles so they can be copied and pasted as text you can manipulate. 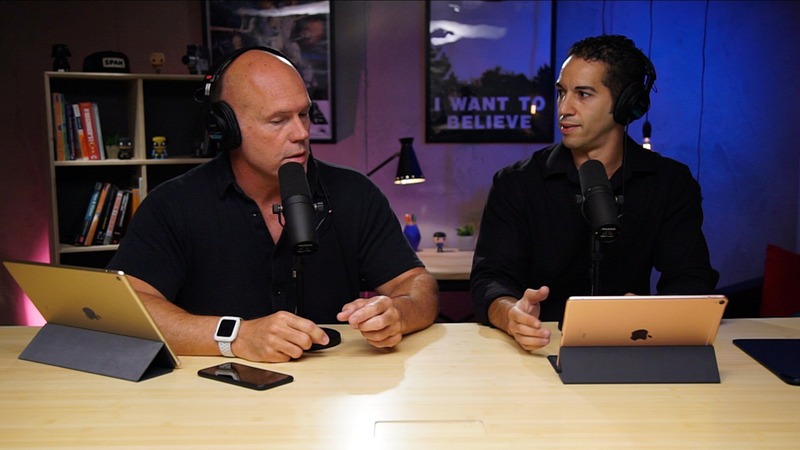 All of these changes, while making the iPad easier to use for everyone, will be most welcome in the enterprise, where Apple has been making strides in recent years. For a piece of technology to break into and create an impact in the workplace, it needs to be great at two things to gain traction: embrace existing tech already in place and offer a productivity advantage compared to what's already in use. On both counts, iOS 11 looks like it's set to deliver.